This is a collection of interrogations of senior Luftwaffe officers at the end of WWII. The content has been gently edited and the result is a readable account of the Luftwaffe from its formation to until the end of the Second World War. An invaluable source of first hand accounts. DESCRIPTION: This is a collection of interrogations of senior Luftwaffe officers at the end of WWII. The content has been gently edited and the result is a readable account of the Luftwaffe from its formation to until the end of the Second World War. An invaluable source of first hand accounts. The text is accompanied by a photo plate section and the contributors were senior and successful Luftwaffe pilots. There is a very helpful glossary and the accounts work through the stages and structure of the Luftwaffe, together with the campaigns. There is material that has not been in general circulation and fresh insights make this work particularly valuable. A large part of the content is provided by Generalleutnant Adolf Galland. He once remarked that he started the war as a Major commanding a fighter squadron and ended it as General of Fighters commanding a fighter squadron. His career is most interesting because he was one of the very few German pilots to start as a glider pilot who joined the covert Luftwaffe, was one of the first pilots of the overt Luftwaffe, a member of the Kondor Legion in Spain and then fought through the war as a high scoring fighter ace who achieved senior rank before falling from grace for suspected anti-Nazi sentiments, completing the war as commander of an Me262 jet fighter squadron. This experience gave him a unique understanding of the full Luftwaffe story. All the contributors concentrate on technical and resource issues and pay little attention to some of the equally important issues that Germany failed to meet, or to the internal situation and politics. 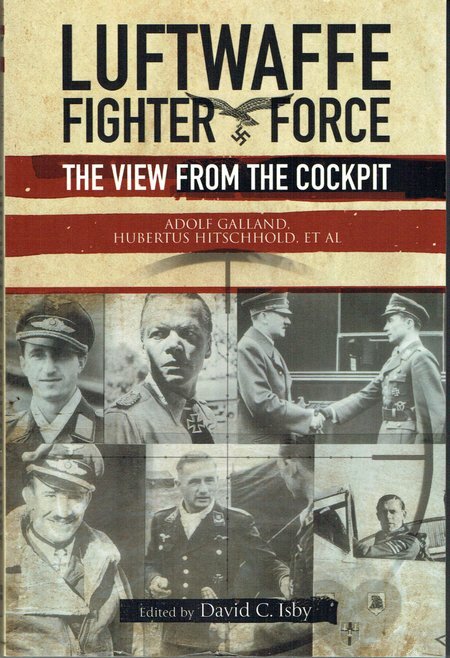 Galland disagreed with Goering at several points during the war and Goering did not take kindly to this which is the primary reason for Galland’s replacement as General of Fighters before the end of the war. The statements to interrogators are often informative by what they did not include.